First up is a simple trend play on AUD/CAD’s 1-hour forex time frame. 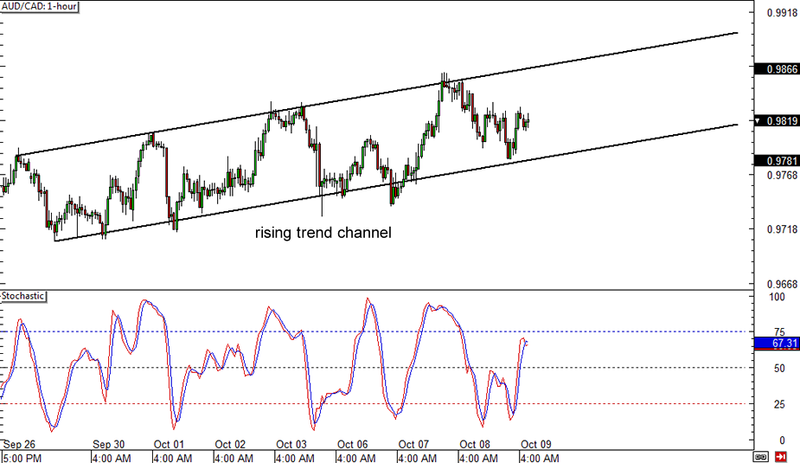 The pair has been moving inside a rising trend channel and may be on its way to test the top of the range. Stochastic is moving higher, indicating that buyers are in control of price action for now and may take the pair up to the .9900 major psychological resistance. However, if sellers take over soon, AUD/CAD could make another test of the channel support near the .9800 major psychological mark. Be careful of potential breakouts if you’re planning to trade this one! 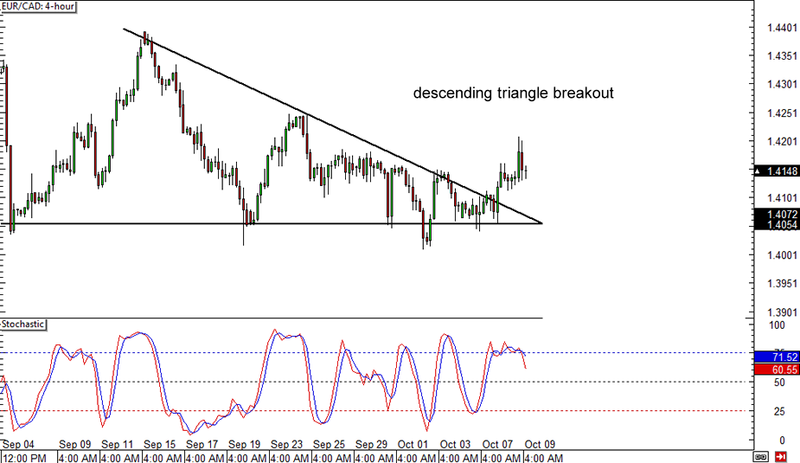 Check out this neat triangle breakout by EUR/CAD! The pair was previously stuck inside a descending triangle forex chart pattern on its 4-hour time frame before it finally busted above the resistance. This could mean more gains for the pair, although a pullback might take place since stochastic already reached the overbought zone. Take note that the chart pattern is roughly 400 pips in height, which suggests that the resulting rally might be of the same size. Make sure you review our lesson on How to Trade Triangle Formations if you’re thinking of jumping in. Reversal alert! 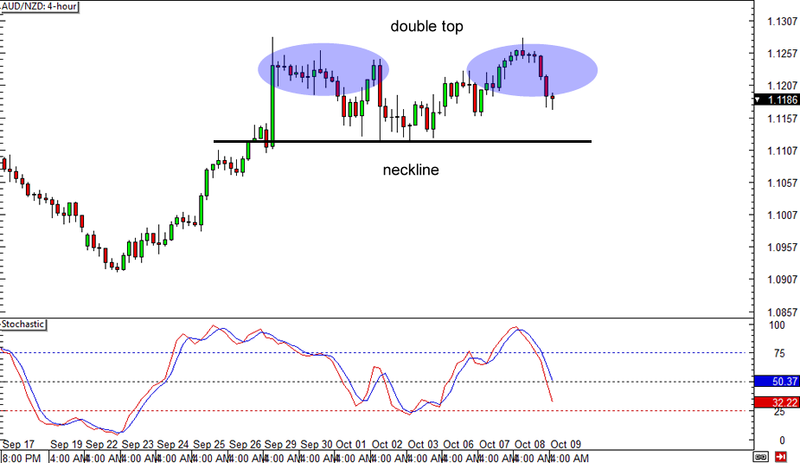 AUD/NZD appears to have reached the end of the road when it comes to its northbound journey, as a double top chart formation can be seen on its 4-hour forex chart. This is a classic reversal signal, which could push the pair back in a downtrend. The formation is around 250 pips high so the resulting selloff could be around the same amount. However, price has yet to break below the neckline support before confirming the reversal and stochastic suggests that it’s already on its way there. Better wait for a candle to close below the neckline before shorting!